We stand as one of the leading manufacturers of Stainless Steel Tankers namely mobile/stationary steel insulated/un-insulated Water Tanker and Stainless Steel Chemical Tankers, manufactured from superior quality of raw materials such as stainless steel conforming to AISI - 304/304L/316/316L. 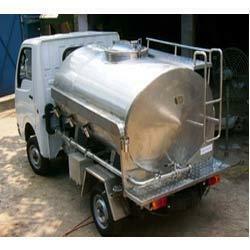 Some of the attributes of these tankers are durability, robust and long service life. Available in various capacities, these are made by latest technology and methodology. We supply these quality finish tanker to numerous industrial sectors like chemical, fertilizer, agro, different NGOs, Municipal Corporation, Private Social Organization and State Level Organization. We manufacture and supply mobile/stationary steel insulated/uninsulated Water Tanker from stainless steel conforming to AISI - 304/304L/316/316L material. These water tanker are fabricated with complete piping fitted with SS -304/316 valves for direct dispense to people as safe drinking water. Stainless Steel Chemical Tankers are used for transport of various inorganic and organic chemicals from manufacturers to various depots.Manufactured from Stainless Steel materials conforming to AISI 304/304L/316/316L etc. 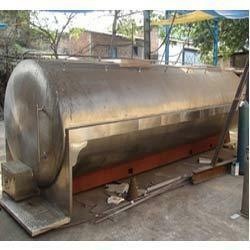 Looking for Stainless Steel Tanker ?